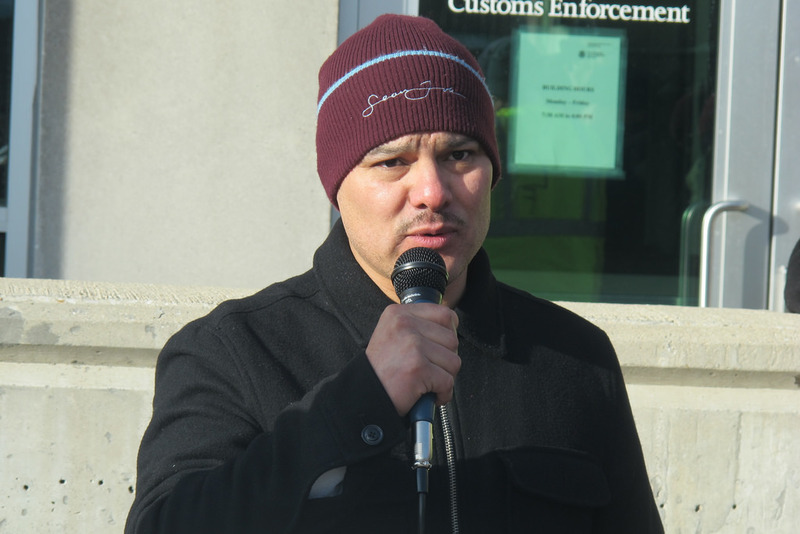 Jose Calderon, a married father of two from Mexico, found out the hard way just how easy it is to fall in the crosshairs of Immigrations and Customs Enforcement (ICE) officials in Wisconsin. His ordeal began with a traffic accident on an icy freeway in December 2012, followed a few months later by a traffic stop while driving his wife to work in Ozaukee County. He was ticketed both times for driving without a license. The tickets were his first and only run-ins with the law. “I’d had my license for eight years with a clean record,” said Calderon. In 2007 the state passed a law requiring applicants to submit legal proof of residence, preventing undocumented immigrants from renewing or receiving their licenses. Calderon hired a lawyer and showed up for court in Ozaukee County on July 8, 2013, as ordered, attended his hearing and paid the fine. Waiting there to whisk him away — along with four other Hispanics — were officials from Immigration and Custom Enforcement (ICE). Calderon and the other men had been identified for detainment through the IDENT/IAFIS system, a fingerprint scan that pinpoints people to take into custody for possible deportation. The intent of the system is to identify undocumented immigrants in federal, state or local custody (or at-large), who have been convicted of serious criminal offenses or have immigration violations. It is used to target individuals for deportation as part of Secure Communities, a federal program that aims to remove undocumented immigrants who pose a threat to public safety. The ICE Secure Communities program, initiated in 2009, has resulted in 322,706 deportations nationwide as of Jan. 31, 2014, when data was last made available. “The composition of the individuals that ICE removes is in line with these priorities,” wrote Montenegro in an email to NNS. But, across the nation, many individuals tabbed for deportation were convicted of minor offenses such as traffic violations, or no crime at all. 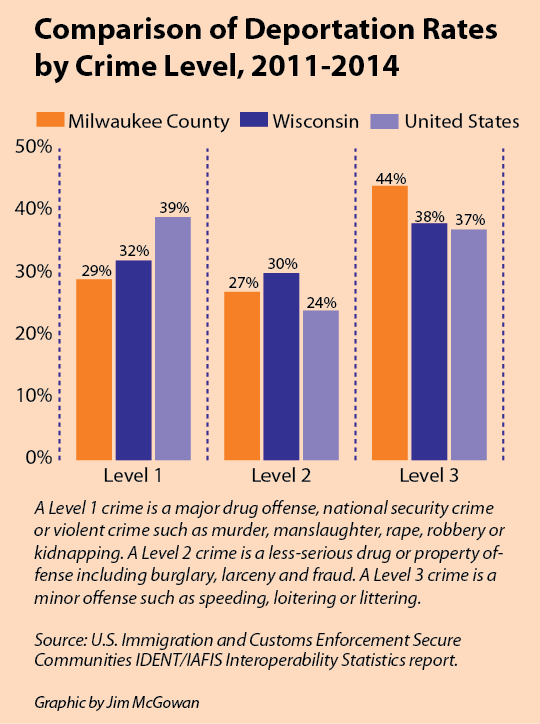 In 2012, NNS reported that 34 percent of Milwaukee County deportees had no criminal record. Critics of Secure Communities question whether the program is actually about public safety, or an excuse to deport undocumented immigrants. 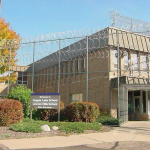 In early 2014, 24 percent of Milwaukee County deportees had no criminal record. 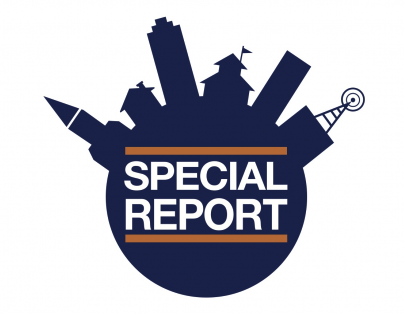 In Milwaukee County, 188 individuals classified as criminal deportees have been forced to leave the country since Jan. 1, 2011, when the Secure Communities program was initiated in Wisconsin. An additional 58 were deported for other reasons, such as violating their visa or for being removed and returning to the U.S.
Of the 188, 44 percent were categorized as Level 3, meaning they were convicted of minor offenses such as speeding, loitering or littering. This is a higher rate than the state (38 percent) or the nation (37 percent). Twenty-seven percent of Milwaukee’s criminal deportees were classified as Level 2 (convicted of a felony, or three or more misdemeanors.) Only 29 percent were Level 1 offenders, guilty of the most serious offenses. In Milwaukee County, Level 2 and 3 deportees comprise 71 percent of those deported due to criminal convictions. Nationally, the combined rate is 61 percent. Nancy Flores, who leads the New Sanctuary Movement, part of a nationwide coalition of faith-based groups that support immigrant families affected by deportation, said cases like Calderon’s are common. “Many of the people that are facing deportation or have family members who are, say their troubles started with minor traffic offenses,” Flores said. In 2012 the Milwaukee County board passed legislation ending ICE detainers for non-criminal immigrants or those who’ve been accused or convicted of minor crimes, such as driving without a license. Consequently, enforcement officials no longer hold immigrants in custody for ICE unless they’ve been convicted of, or are wanted for, a serious crime. These rules don’t apply to the counties outside of Milwaukee. If individuals are detained in another county, they are returned to the city to be processed by immigration officials. In late February, Voces De La Frontera (VDLF), an immigrant rights group based in Milwaukee, held a protest condemning ICE officials for targeting undocumented immigrants at county courthouses and those leaving immigration hearings at the ICE office on 310 E. Knapp St., in downtown Milwaukee. The group sent a letter to ICE officials requesting an end to a practice they consider racial profiling, citing reports that ICE has routinely showed up in courthouses in Milwaukee, Racine, Dane, Ozaukee and other courthouses in Wisconsin. According to Montenegro, individuals identified for deportation typically have completed their criminal proceedings before ICE takes them into custody. However, Flores said that in many cases ICE officials show up while court cases are still in progress. “They (ICE officials) come to the courthouse on days [when] there will be translators,” signaling that defendants who don’t speak English also will be there. The city’s annual “May Day” march to stop deportations, which in the past has drawn thousands of people, usually ends at Veterans Park. But, this year’s march on May 1 will conclude at the Milwaukee County Courthouse to protest the ICE practice. Flores said individuals trying to do the right thing by going to court and paying their fines end up facing deportation, which instills a deep fear of law enforcement in the community. “They’re afraid to go to court, to drive to work, but they have to,” Flores said. Montenegro said that changes have been made to prevent those guilty of minor traffic offenses and other misdemeanors from being deported. For example, ICE detainers cannot be issued to individuals charged with a minor traffic offense until they are convicted, unless they have other convictions on their record. ICE officials have also created a training program for state and law enforcement agencies to provide more information about how Secure Communities works and the rights of undocumented immigrants in the criminal justice system, according to Montenegro. In recent years, the percent of Level 3 individuals being deported has dropped both nationally and locally, while the percent of L1 deportees has risen. During the first 20 months of the Secure Communities program, Level 3 individuals made up 52 percent of those deported from Milwaukee for criminal offenses. That figure dropped to 44 percent as of Jan. 31, 2014. Montenegro said the Level 1 numbers are going up because some offenders have finished their jail or prison terms and are now being deported. Maria Ryan, a Milwaukee immigration attorney, agrees with Montenegro that many serious criminals are sitting in jails and will eventually be deported. Still, she believes that ICE is targeting people who don’t represent a threat, and is guilty of racial profiling, especially at the courthouses. “These people are not a priority; they have no criminal record,” Ryan said of many immigrants tabbed for deportation. According to the Secure Communities memorandum of agreement, the use of the IDENT/IAFIS system for purposes of ethnic or racial profiling is not permitted. Ryan said immigrations officials are creating a culture of fear at courthouses and other sensitive locations where people should feel safe. She said often undocumented immigrants have no clue that by pleading guilty to minor offenses they risk deportation because they have a conviction on their record. “If they knew they might lose their families, they wouldn’t plead, they’d borrow money and fight the case,” Ryan said. Once an individual has been tabbed for detainment by ICE, the case becomes federal and is much harder to fight, according to Ryan. Currently, Calderon’s case is in limbo. The average wait for immigration court cases is 550 days as of January 2013, according to TRAC Report Inc., a nonpartisan project that tracks and reports government information. As he waits, Calderon said he doesn’t know what’s happening with his life. He said that all he knows is that what’s best for his family is to remain in America, where they have more opportunities. Why oh why do we have to read such sob stories over and over in the press? If someone is illegally in the U.S. and comes to the attention of the government, c’est la vie. It’s time to pay the piper. The alien can leave the country and his or her family is free to travel with him/her. It’s not so difficult. Families do not have to remain in the U.S. to stay unified. No one forced you to read anything. It may be easy for you to say leave, but you are not in his situation. The government is harassing people like this and wasting tax dollars. ICE should honestly follow its own policy. Misuse of authority to create suffering is nothing to gloat about. When they violate citizens’ rights it’s wrong, and so is this harassment. Illegal aliens create their own “suffering” when they choose to break laws, just as any other criminals do. Illegal aliens also go on to commit fraud and identity theft in order to get jobs they’re not entitled to. Deporting illegal aliens is NOT a waste of money. 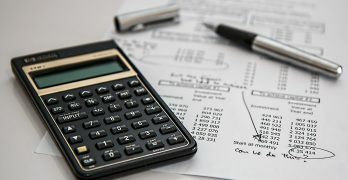 It is a waste of taxpayer dollars to force us to subsidize illegal aliens and THEIR employers, as well as the unemployed Americans illegal aliens displace. And yes, they do displace Americans from jobs. ICE audits, when they were done, regularly showed illegal aliens working under stolen SS numbers alongside Americans at jobs Americans clearly are doing and will do when they can get them. IF you’re concerned about “suffering”, be concerned about the AMERICANS who are out of work or whose wages are depressed because of illegal immigration. Entering this country without inspection is a FEDERAL CRIME, punishable by several months in prison, a large fine, and deportation. Illegal aliens do NOT need to commit other infractions of the law in order to be deported–just the first one is more than enough. Of course, many illegal aliens go on to commit fraud and identity theft to steal jobs from Americans, or evade taxes by working off the books. ————-By the way, the fact that he was in the Secure Communities database shows that he has had run ins with the federal authorities before, otherwise they wouldn’t have a record of him. Hardly the “innocent” this story protrays. $66K per illegal student for 12 years of schooling in MPS! EEEENNNOOOOUUGGGHHH!! !